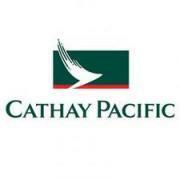 Cathay Pacific Airways is offering special prices on flights from Hong Kong to major European cities. Destinations include London, Paris, Amsterdam, Frankfurt, Rome, and more. Round-trip economy fares start from HKD6,000 (USD772) plus taxes and surcharges. This promotion must be booked by May 31 and is valid for selected departure periods between now and September 30, 2011.